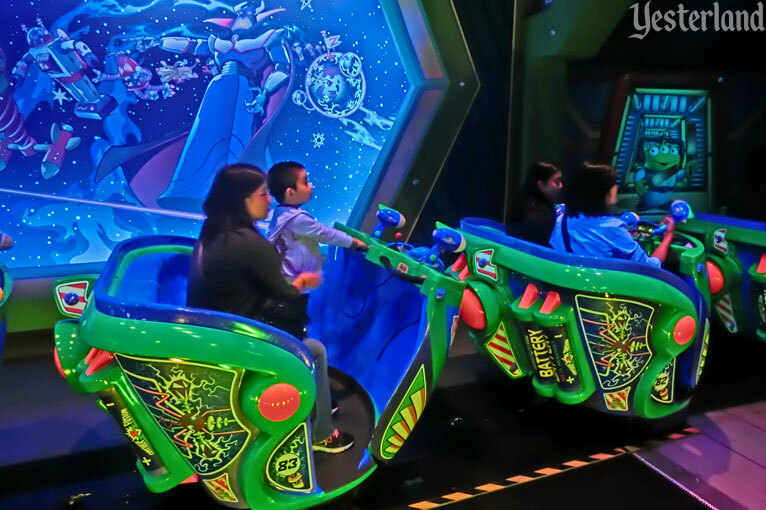 Buzz Lightyear rides are still popular at other Disney parks—but the Hong Kong edition has gone to Hong Kong Yesterland. Although the worldwide rides are similar, their names are different. 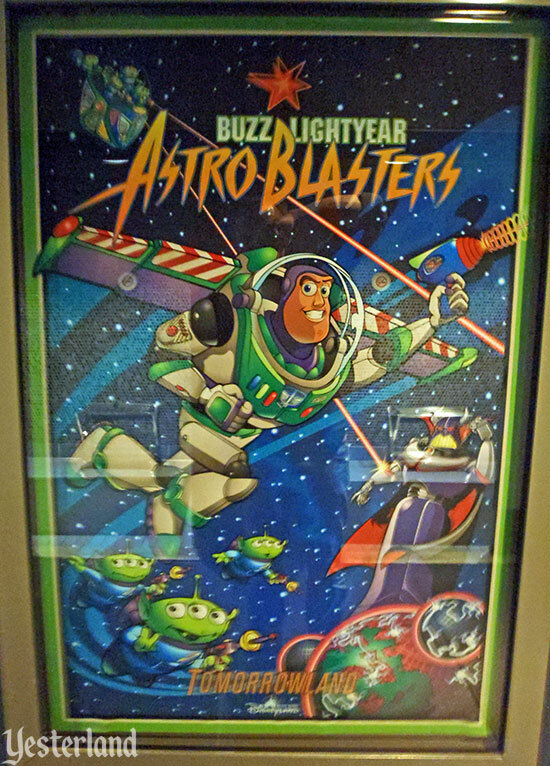 Only the original Disneyland Park also calls it Buzz Lightyear Astro Blasters. 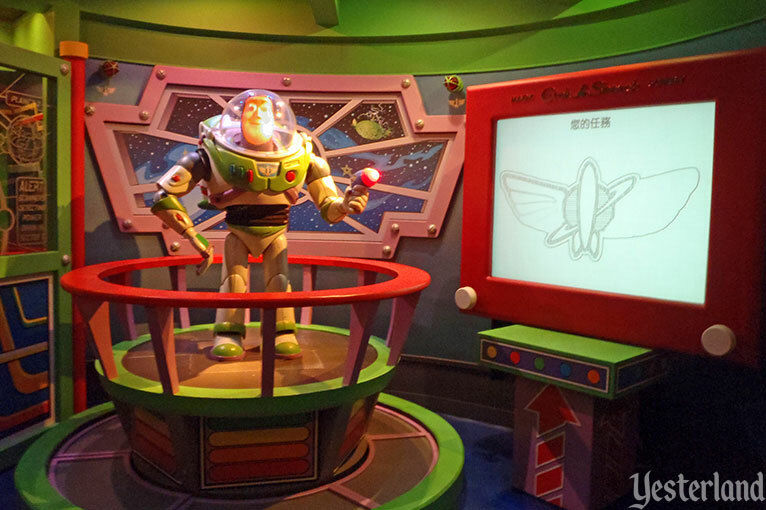 At Magic Kingdom Park, it’s Buzz Lightyear Space Ranger Spin. 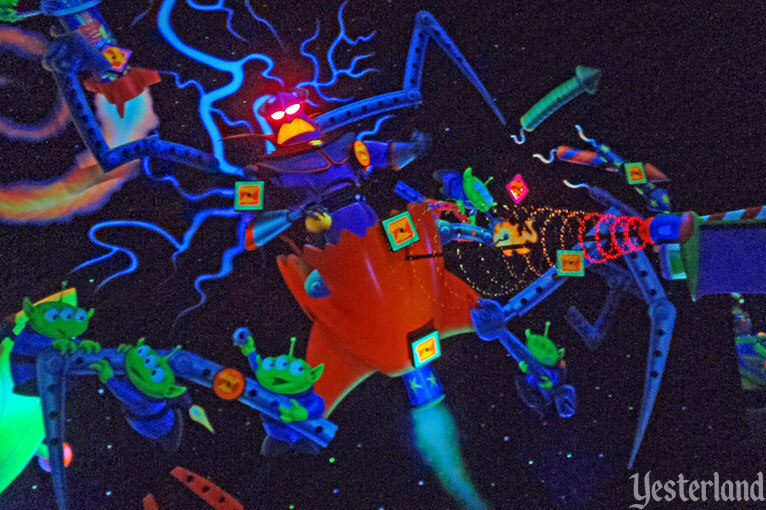 At Disneyland Paris, it’s Buzz Lightyear Laser Blast. 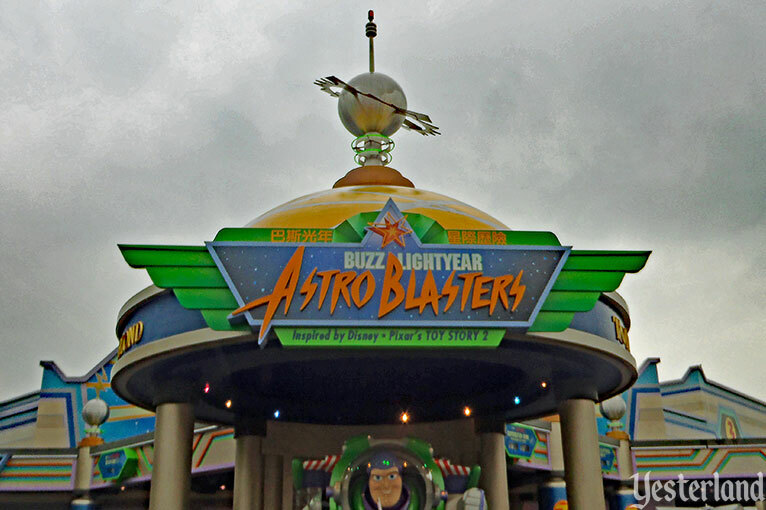 At Tokyo Disneyland, it’s Buzz Lightyear’s (possessive s) Astro Blasters. At Shanghai Disneyland, it’s Buzz Lightyear Planet Rescue (with a different storyline and more sophisticated targeting). Buzz Lightyear needs your help. 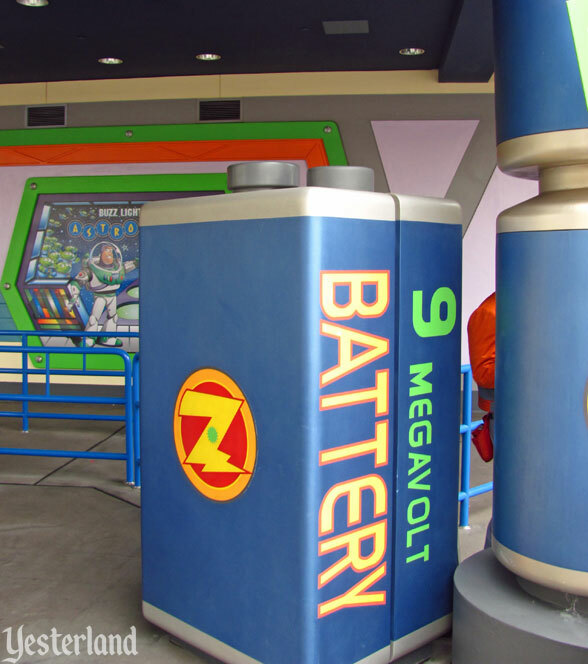 The Evil Emperor Zurg stole batteries from Star Command to power his Secret Weapon. Have a seat in a 2-cadet XP-39 Space Cruiser at Hong Kong Yesterland—not to be confused with the XP-40 Space Cruisers at the original Disneyland Park. 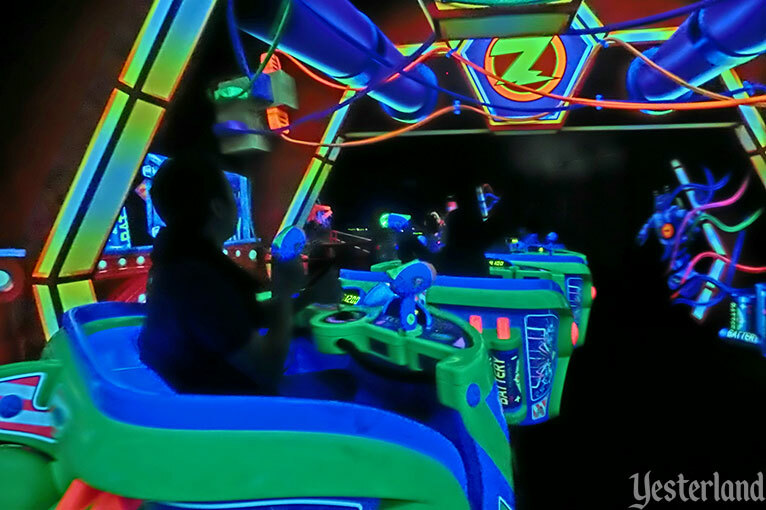 You can fight back against Zurg by aiming your laser cannon at “Z” targets and amassing points. Fire quickly. You have an unlimited quantity of laser “bullets,” and you’re not penalized for missing. You can spin your Space Cruiser with a joystick. Just realize you might anger the other cadet, who might feel the current orientation is perfect for upcoming targets. Navigating into the shadowy Gamma Quadrant—and beyond! 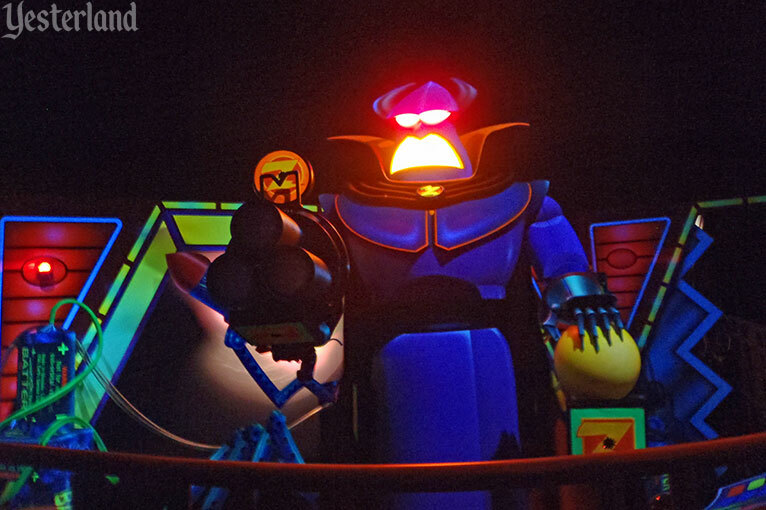 Okay, to tell the truth, your real opponent was never Zurg. It was the other cadet you’re sharing the ride with. You each wanted to achieve the highest score in your vehicle, right? 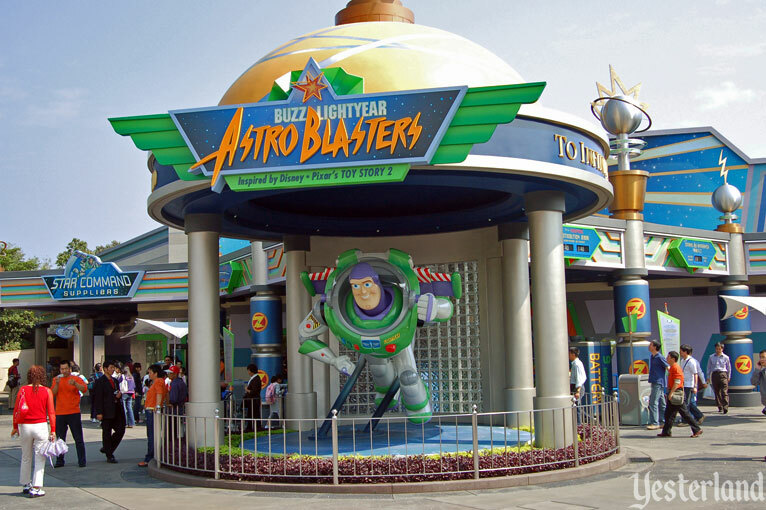 When Hong Kong Disneyland, Disney’s first park in China, opened September 12, 2005, Buzz Lightyear Astro Blasters was an opening day attraction. HONG KONG, August 7, 2017 – Hong Kong Disneyland Resort (HKDL) has always been committed to offering the best one-of-a-kind entertainment experiences to our guests. Now, HKDL is gearing up for the next page in its exciting development and expansion, in which popular stories, characters and all-new attractions will be introduced. 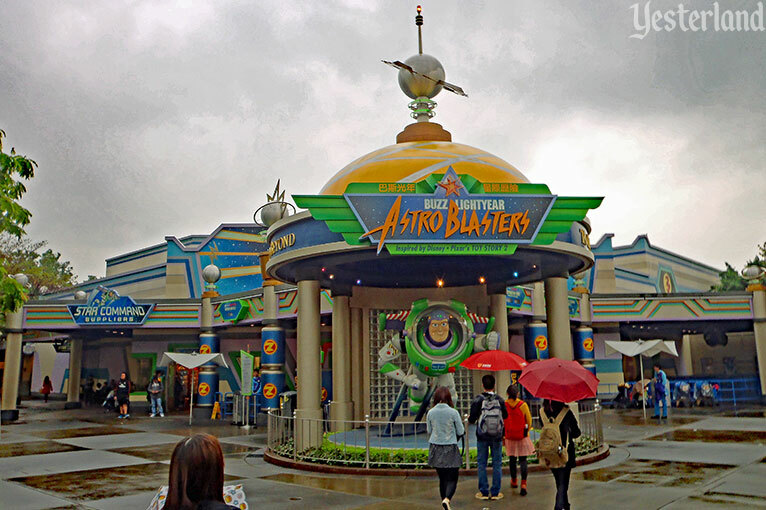 The final day of operation for Hong Kong’s Buzz Lightyear Astro Blasters was August 31, 2017. 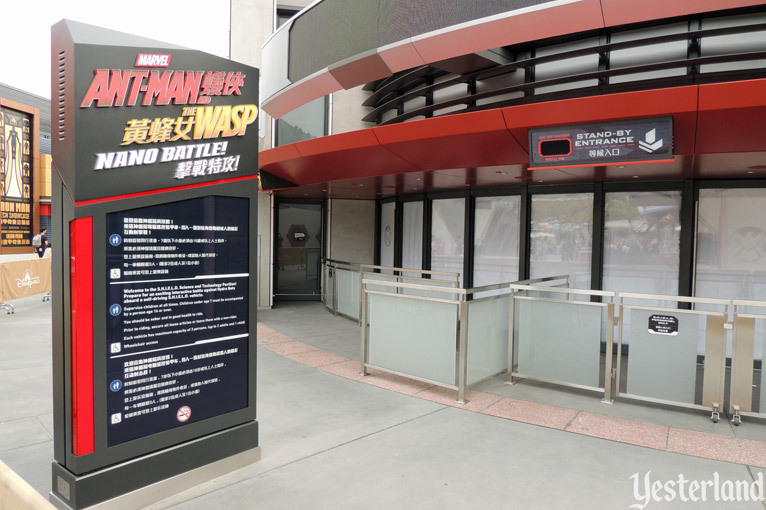 Its replacement would be Ant-Man and The Wasp: Nano Battle!, with an official opening date of March 31, 2019. 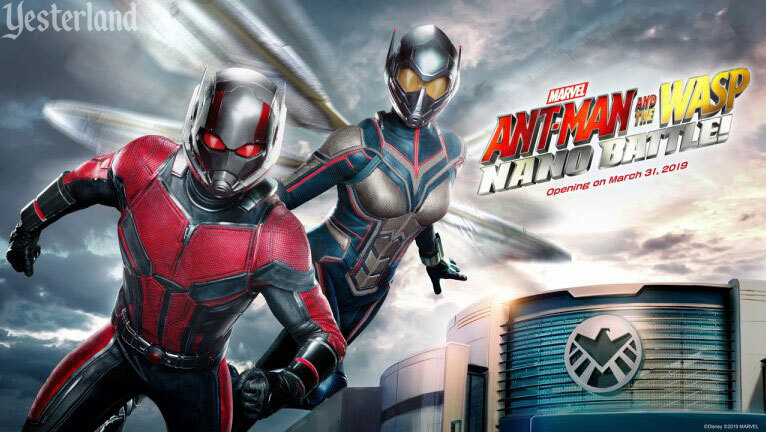 Publicity art for Ant-Man and The Wasp: Nano Battle! Attraction concept art for Ant-Man and The Wasp: Nano Battle! Once again, guests in a continuous stream of ride vehicles would use hand-held laser “guns” to aim at targets in a series of show scenes. 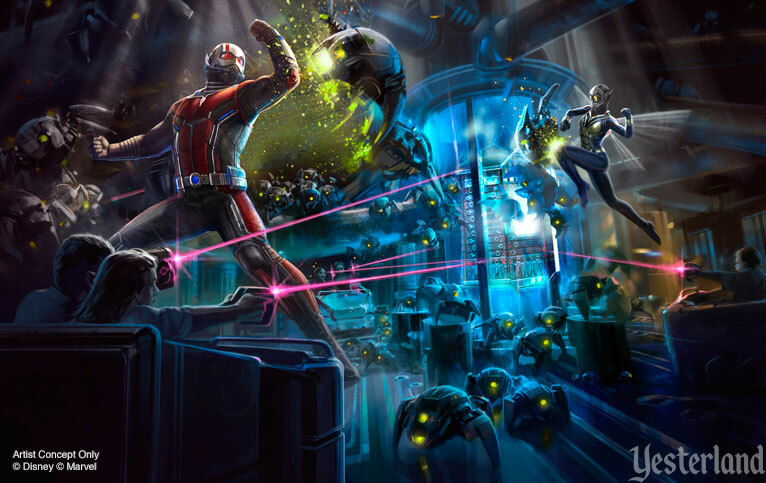 Instead of joining forces with Buzz Lightyear, guests would join forces with Ant-Man. Paul Rudd and Evangeline Lilly, the stars of the “Ant-Man” films, appear in the attraction. 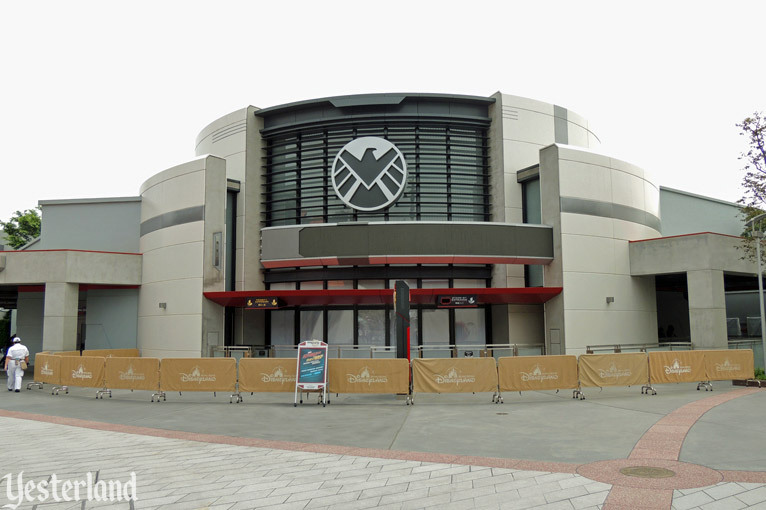 Hong Kong’s Tomorrowland already has a fair amount of Marvel. 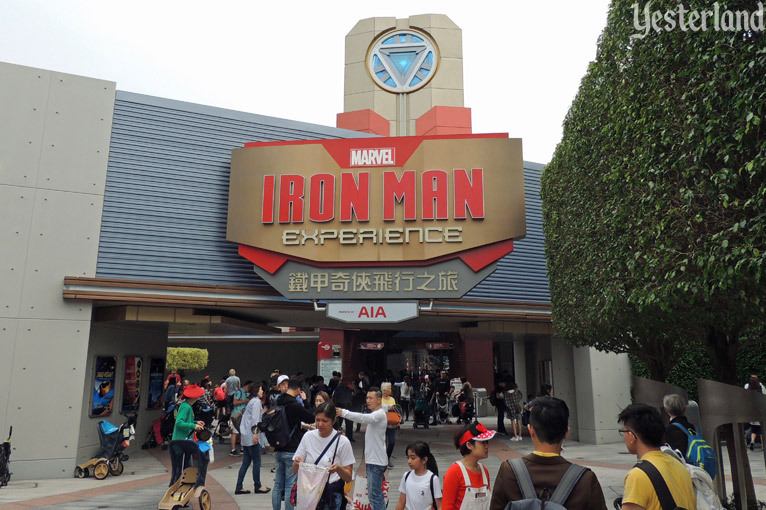 Iron Man Experience, the first Marvel attraction at any Disney theme park, opened January 11, 2017. It uses 3-D simulators similar to those of Star Tours - The Adventures Continue. Guests wearing StarkVision glasses help Tony Stark fight extraterrestrial invaders attacking Hong Kong, where Hong Kong Stark Tower dominates the skyline. There’s much more Marvel to come. 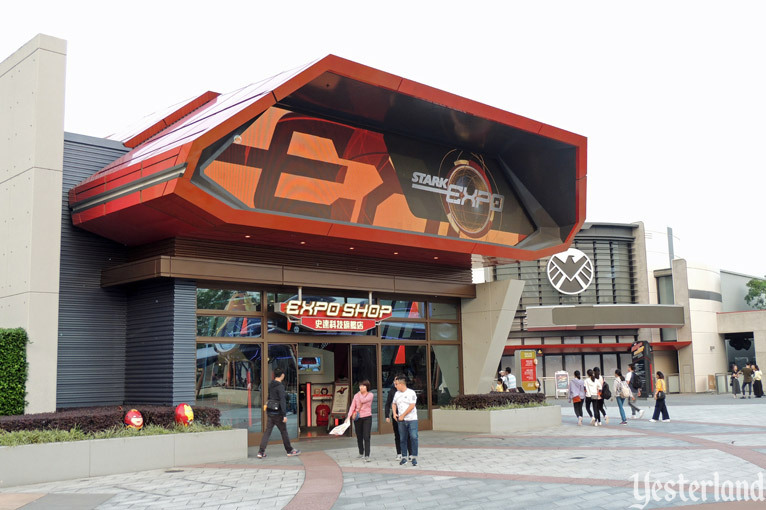 By 2023, Hong Kong Disneyland will have an entire Marvel-themed area. This includes the property that was originally the park’s Autopia ride. Too much Marvel for you? Don’t worry. There’s also an entire Frozen land under construction. There’s no such thing as too much Frozen, is there?